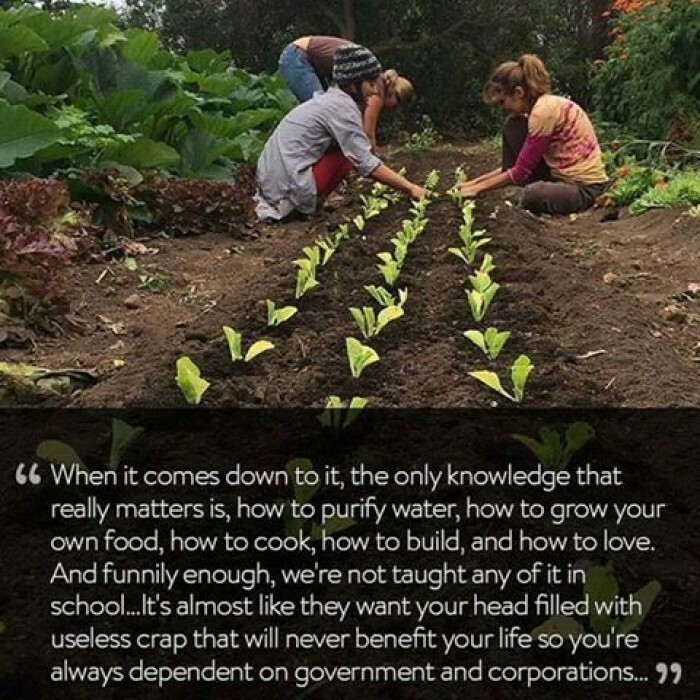 When it comes down to it, the only knowledge that really matters is, how to purify water, how to grow your own food, how to cook, how to build, and how to love. And funnily enough, we're not taught any of it in school. It's almost like they want your head filled with useless crap that will never benefit your life so you're always dependent on government and corporations.